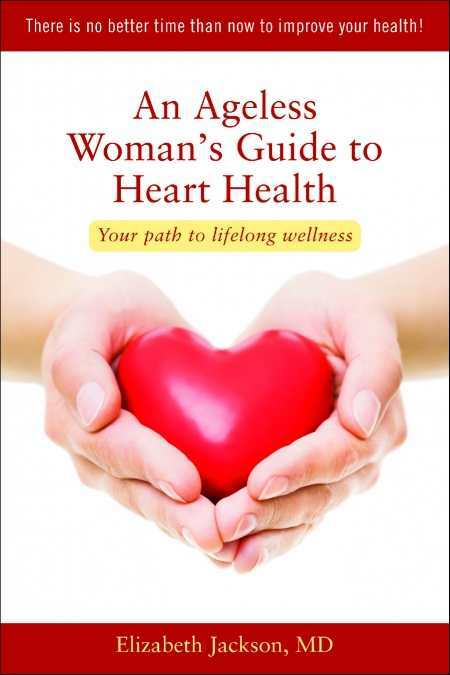 Readable, medically sound guide contains helpful healthy-heart advice for women of all ages. “Having a good heart is important, but having a strong, healthy heart is absolutely essential,” writes Dr. Elizabeth Jackson, who has created a heart health guide for women in all seasons of life. Jackson is an attending cardiologist at the University of Michigan Health Center, where she focuses on women’s cardiovascular health and preventive medicine. An Ageless Woman’s Guide to Heart Health begins with a description of the healthy heart and how it functions, and then what happens when it malfunctions. There are many ways in which women’s heart problems differ significantly from men’s, both functionally and statistically, making this book a welcome and valuable aid for women. Women often experience heart attack symptoms different from the classic signs described by men; a woman may even have an “intuition” about an impending attack. Meant both to encourage and inform, the book underscores the need for prevention, while explaining the cause and mechanism of frightening realities like sudden cardiac death, cardiac arrhythmia, heart disease, and obscure but notable ailments like broken heart syndrome, also known as stress cardiomyopathy, when intense emotional or physical stress can weaken the heart. Recommending checkups on a timely schedule based on age and general health, Jackson also emphasizes the importance of reducing cholesterol, pursuing a heart-healthy diet, getting regular exercise and even meditating to reduce stress. She offers helpful charts and graphs based on age and other factors. These breakdowns are particularly useful since all too often we see such data monolithically presented for “women” generally, which can cause unnecessary worry. Older women will battle more with cholesterol levels, blood pressure, and especially with weight, making it harder to do vigorous exercise, but this doesn’t mean they shouldn’t try; and younger women can start early to develop good heart health habits. As Jackson points out, “the healthy choices you make for your heart can also help you win the weight loss battle.” She also emphasizes that as wives and mothers, women can have a positive impact on the heart health of the entire family. There is a practical list of on-line resources at the end of the book. Jackson’s photograph shows a woman with strong spirit and a vibrant smile; throughout her book she presents herself as a caring physician and a concerned advocate for women’s health. With visual appeal, well chosen color scheme and useful, usable data, this book should find a large, receptive readership. Women from twenty-somethings to seniors will appreciate a health guide focused on their particular cardiovascular needs, coming from a recognized expert with their best interests in mind.